I'm LOVING salmon lately! It's my go-to protein source since I've switched to a low-carb, high fat diet. 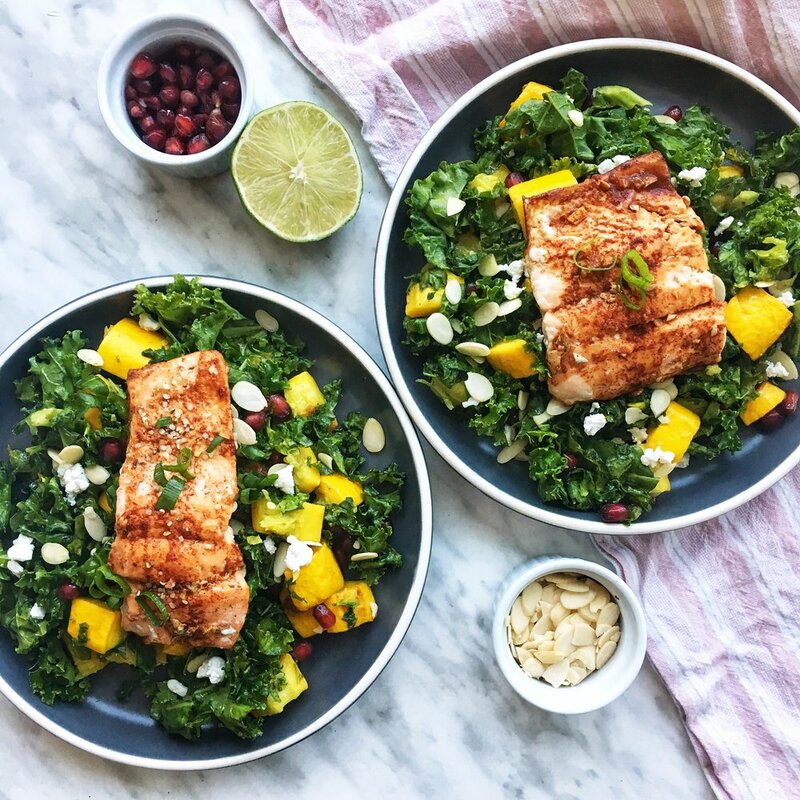 I especially love it with my Zucchini Squash and Kale Salad, as it not only hits all my macros, it also provides antioxidants, is B12 and iron-rich, has omega-3 fatty acids, lots of nutrients and is super filling. In a perfect world, I would workout at 6am... buut TBH sometimes the motivation is lacking that early in the morning (I really want to change this though!! Any tips shoot them my way pleaaase). So, I usually get a good sweat sesh done in the evening and this makes the perf post-workout meal. As I am following an intermittent fasting (IF) schedule now, I'm typically eating two huge meals during the day, with a little snack or smoothie at around 3-4pm if I feel hungry. This isn't restricting calorie intake - it's simply scheduling out your eating and fasting times which has SO many health benefits if done properly. 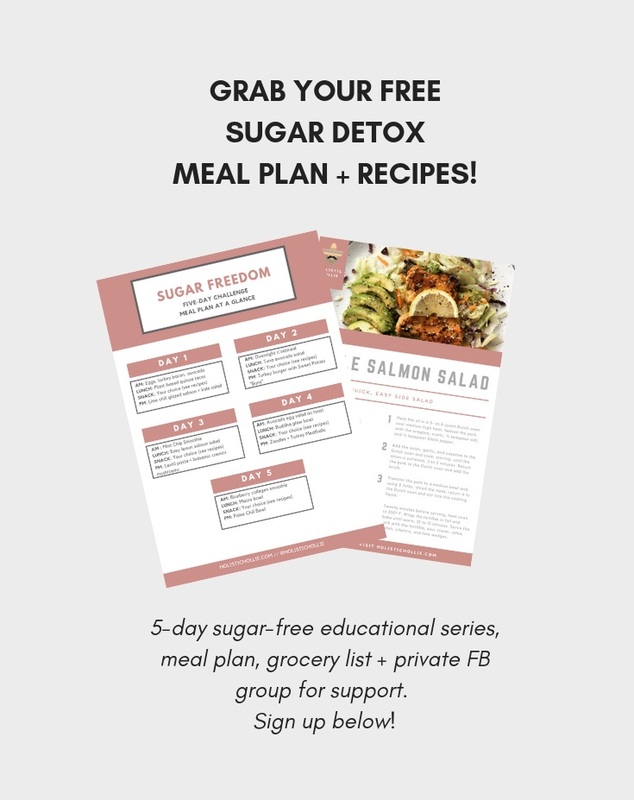 I find this schedule pretty easy to stick to because I'm eating a keto-based, low-carb/high-fat diet (I say "based" because it's not traditional keto, it's a modified version that I've come up with to suit my needs and lifestyle. Working on a post about this - stay tuned!). This is what a typical dinner will look like, followed by a little treat cause... that sweet tooth though 🤤 I usually like to have a square of my keto coconut crack bars, one of my cinnamon or peanut butter fat bombs or something similar. Instead of waiting for later in the night to have a snack, I try and have it directly after dinner so it won't spike my blood sugar levels. Also, I'm following a 16/8 fasting schedule (I'm also working on a post all about IF, coming soon) so I usually stop eating around 8-8:30pm and then have my first meal the next day at around 12-12:30pm, allowing my body to fast for 16 hours. Ok, ok let's get to the good stuff! Recipe is below - enjoy cause it's a tastyAF one!